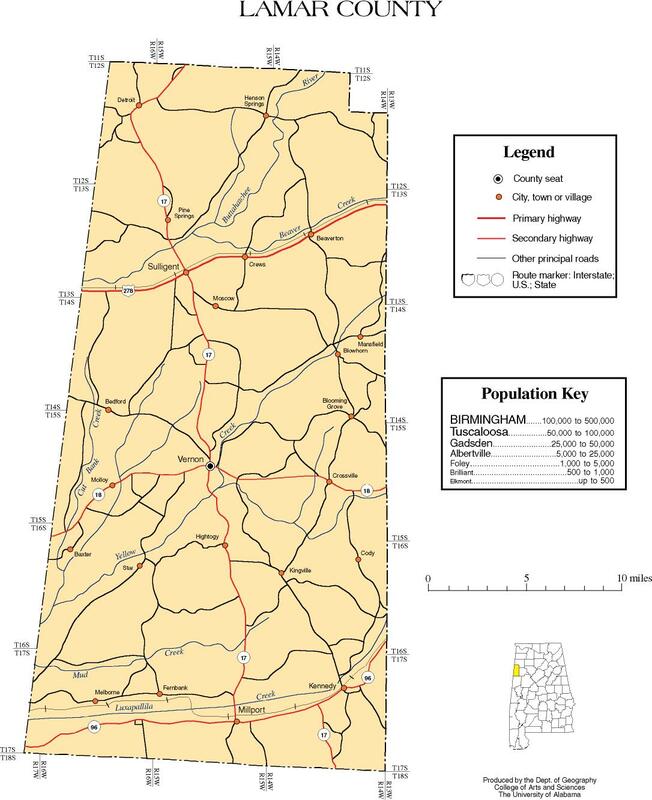 Lamar County was created by the Alabama legislature in 1867 as Jones County. On 1867 Nov. 13, the county was abolished. On Oct. 8, 1868 the county was re-created under the name of Sanford County. On Feb. 8, 1877 the name was changed in honor of Senator L.Q.C. Lamar of Mississippi. Lamar County is bordered by Marion, Fayette, and Pickens counties in Alabama, and by Lowndes and Monroe counties in Mississippi.